Plans for an ambitious new morning talk show — described as “live, local and fun” — kick into high gear this week with the start of on-camera auditions at ABC-owned WLS-Channel 7. In the works since shortly after Oprah Winfrey announced she was ceasing production of her Chicago-based syndicated show and shifting attention to her OWN cable network, the new show on ABC 7’s drawing board has attracted interest far and wide, including inquiries from more than 500 would-be hosts and their agents. Bonnie Bernstein, ESPN Radio host and former ESPN Chicago bureau chief, former ABC and CBS sports reporter. Roe Conn, afternoon personality on news/talk WLS-AM (890) and contributor to Fox Chicago News. Jeff Goldblatt, part-time reporter at NBC 5, former main news anchor at Fox Chicago News and former national correspondent for Fox News Channel. Brittney Payton, host of “Chicago’s Best ” on WGN and CLTV, and daughter of late Bears Hall of Famer Walter Payton. Stephen A. Smith, sports commentator and columnist, NBA insider for Fox Sports and ESPN. Rafer Weigel, sports anchor for HLN’s “Morning Express,” actor and son of late Chicago sports anchor Tim Weigel. The producers are hoping to finalize their lineup of hosts and contributors by the end of February. No start date has been announced for the show, which will take over the 9 to 10am weekday time slot Oprah has dominated for more than 25 years. Her syndicated show will offer reruns until fall, but production of new episodes is expected to cease at the end of May. 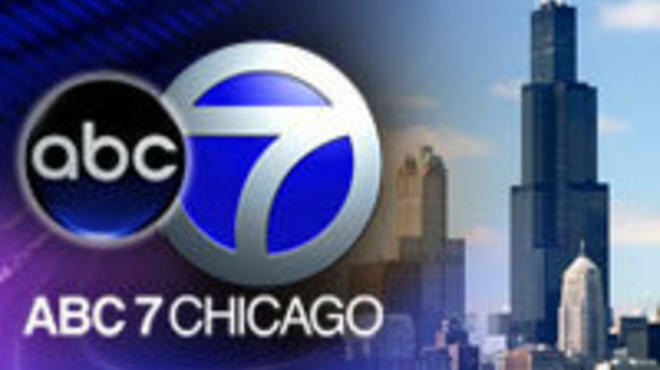 The new show will originate in front of a studio audience at ABC 7 headquarters at 190 N. State. A three-minute demo tape produced last summer labeled it “Morning Rush,” but insiders said that’s considered only a working title. Since they were hired in October, Selip and Patrasso, both veterans of NBC’s short-lived “In the Loop with iVillage,” have been refining their plans with the help of focus groups. No matter whom they choose as hosts, the show is expected to have a strong Chicago orientation and cover multiple topics each day. Their goal, by all accounts, is to make it "live, local and fun." Follow up: Several hours after this story was posted, Rafer Weigel wrote to say he has withdrawn from consideration. "I've decided not to pursue the WLS job and instead stay at HLN," he said. I find two of the names on the list a bit surprising, Jeff Goldblatt and Roe Conn.
Goldblatt is a good journalist, and I just cannot see him giving up the serious reporting in order to do a light-hearted, audience-oriented show. As I recall, he gained criticism while at WFLD for his lack of cemistry on-air. While he just may have not "clicked" with that team, it only seems like a forgone conclusion that his style and personality would not work well on WLS, either. Roe, on the other hand, would seem like a natural for a talk show...oh yeah, he ALREADY HAS ONE. Also, I'm pretty sure that, while not a bad thing, his "political" image would be engrained in the backs of viewers minds. I wouldn't want viewers to (Morning) Rush to judgement! Finally, let's face it, can any of us picture either of these middle-aged men connecting with the young, hip female demographic WLS is inevitably shooting to attract? ...Probably not. I'd rather see re-runs of Bozo's circus. That "kicky, over-hyped enthusiastic" stuff is so over-rated! Some of these are OK, but no one's making me jump for joy. My top 3 for screen tests are Conn, Payton, Weigel...add Jen Weigel too...Wait, I got it! Weigel & Weigel! You will notice my name is not among the candidates. That's by design. You don't want to be the first one after Oprah. It's like when Mr. Saturday Night followed the Beatles. Or was he on before them? I forget. Anyway, I do know almost all the candidates you mentioned, and a livelier, localer and funner bunch you could not imagine. I, on the other hand, would be more like the Oprah antidote. At least I'd start out that way. I wouldn't give the audience Pontiacs. I'd key their cars in the parking lot. But gradually I would become more like Oprah. I would want to belong. Before you know it I would be assembling the cast of "The Sound of Music" on the show and leading the audience in a round of "Raindrops on roses and whiskers on kittens," and have the audience file out one by one, a la the Von Trapp family at the Salzburg (sp?) festival to the parking lot where they'd find their brand new Chevy Volts (batteries not included). Why not Eric Ferguson? Couldn't he host "Regis" and "Oprah" at the same time? You know, as part of the Local News Cooperative. Ahem. Got something against broadcasters with a neckbrace? Come on. Give me a tryout with Seattle Sutton. THIS IS AN OUTRAGE. How can the semi-lovely Melissa Forman not be on this list? This superstar in the wings has been tanning and bleaching for years, just waiting to take over for the Oprah. But she's NOT on the list? What does WLS (which I alwas thought stood for We Love Suntanned people) have against this lady? Did Melissa Forman drive her car into their studio during a newscast? I think not. Did she EVER mess with Floyd Kalber's hair? Nope. And she wasn't even born when John Coleman was yukking it up with Paul Udell back in the day before he decided global warming was a scam. But I digress as I think of Al Gore and all the snow on the East Coast. Who do I have to call to get this matter reviewed? Chicago, America, the WORLD needs the semi-lovely Melissa Forman to fill the big expensive shoes left empty by Oprah. Who's more local and fun than Melissa Forman? I'll just wait here while you try to answer that. What no Ponce brothers on the list? Oh yeah, the patriarch from WTTW already pushed the inchoate boys to the front of the line at 7 and 5. It is clear who the best local person for TV: Gary (sic) Meier. I mean, has everyone forgotten his 'talk show' on the U? He got deep with Svengoolie, Brian Dennehy, Bill Zehme, and Tim Kazurinsky! Rick Dees in his prime couuldn't touch that guest list! How about young Jiggetts and young Payton? I WOULD watch that. The problem with any of these types of shows on local stations is that local stations don't have/won't provide/can't provide the funds needed to really put on a quality broadcast. What you get as a result is TV shows that look unfinished. There's a lot to be said for the host... of course. But booking the right segments, loading the right audience, surrounding them with a visually pleasing set, giving the show an overall tone that resonates. These are the things that local TV forgets. From this list though, I would vote Rancic. he has enough "shine" on him to make him an interesting host. If they got his wife to join him, their dynamic would be excellent on a morning show. It's a natural chemistry, built in front of the cameras. If they are leaning towards a female host, then Bonnie Bernstein is hands-down MUCH BETTER than Brittney Payton. Brittney is just TERRIBLE on "Chicago's Best" and doesn't have the chops to HOST a show, or be a quality contributor. Since the producers came from the iVilliage show, then they're most likely leaning towards Rancic or Roe to host. If you think back to when Oprah was hired to host AM Chicago, she was a relative unknown, and was given time to let her grow. I wonder if ABC7 will do the same with this host???? Not one of the people on that list is remotely interesting. Even worse, I'm forced to agree with Bruce Wolf, the schande of schandes! And I even agree with the normally disturbed Katie, why not give Forman a tryout? It couldn't hurt! They need to go into far left field for this one & all their doing is looking in short center field! I think Susan Carlson should be the host. Will this column's name change to "Robert Feder and...." or "Robert Feder with...."? Bonnie -- not Bernstein. Bonnie Hunt !! Now that Rafer Wiegel withdrew from the running is this going to be like the mayoral election with candidates dropping out themselves? Bonnie Hunt? is this same person that had a failed talk show about 2 years ago? If we are going to go the route of past failures, then Tony Danza is the perfect host. My 1st choice would be Mark Consuelos! He's from Lebanon, IL, went to Notre Dame, was part of the ABC Family via AMC, he's Hispanic, viewers know him from that time period because of Oprah Friday's, has a great TV presence, would have great appeal with urban and suburban women, men easily relate to him, he's hip, and not tired. And, he's syndicatable! Rafer Weigel #2. Roe Conn #3. Rancic has no game & his wife is a drama queen. Rancic has a show - you can watch them whine on that show. This show needs some gravitas, none of the other names offer that quality. The others are totally unwatchable! ... oh and BTW, enough with this Chicago nepotism thing!!!! A famous last name DOES NOT make you watchable or talented. Enough! Live, local and "fun." That would rule out Jim Belushi. Come on... Bill Rancic? Didn't his lack of TV charisma on In The Loop prove to Selip and Patrasso that he's not cut for morning TV? I agree with Bruce Wolf - anyone seeking to replace "O" is going to be disappointed and like his idea for Eric Ferguson who's already locked up the morning airwaves with high ratings. Where are people of color on the list? Hello? Census 2010 says that Hispanics are on the rise. Howe about giving Tsi-tsi-ki Felix from Telemundo some serious consideration. She's the next Robin Meade or Tamron Hall - someone who the TV camera LOVES her headed for bigger and better. She's definately someone to watch in Chicago broadcasting! I know it's harsh, but like it or not, it's a No Guys Allowed club and I'm OK with that. Candidate criteria: 1. Be able to speak and make sense WITHOUT teleprompters, 2. Know the city, but more importantly, know the people, 3. Be vulnerable, AND be strong, 4. Consider second/third generation Hispanic female, 5. If you want me to take your seriously, please do NOT exude distracting and unwanted sexuality, 6. Don't be Oprah. Be better. Ms. Felix would be better off being the next anyone but Robin and Tamron unless she wants to be regulated to obscurity. Robin leads a newscast that could not draw flies if it were wrapped in bacon and Tamron is the back-up to the back-up on the weekend Today show. Just because we remember Robin and Tamron and they are on "national TV", does not mean they are standard bearers for female broadcast journalist. And men won't watch this show period. Forget about the talent - how is Patrasso still in on this? Is that the best they got? I can just see her now, snuggled up in a dark edit suite eating leftover holiday chocolate - watching the audition clips over and over going "next" (lip smack), "next" (lip smack)... And what about those names - the finest in Chicago "talent"? Yes some are talented, but they got to be crying over at 7 more and more - each day "the end" draws nearer. I can hardly wait for that hard-hitting "get to the truth" interview with Al Sanchez or Donald Tomczak. What, no MIKE NORTH?! But seriously folks, quit asking for people of color/minorities. I don't care what they are - just like our mayoral race - I just want the best candidate. I will only watch if they hire a Hispanic Jewish Lesbian. Oh, and no one named Melba please. What about that unemployed radio mo-fo? No, not Ted Williams, Johnny B! By the way, when will someone rescue Brandmeier from whatever street corner he's living on in Chicago somewhere and put him back on the radio? A lot of sports connections in this group . . . not too imaginative or inspiring. In the end, no one said it better than comment #30. Give Bonnie Hunt another try I thought she was great! What about Kathy and Judy or John Williams. Any of these would be better then the list above. No, no, not Gary Meier. Unless they're chasing after the cranky fiftysomething bitter white male demographic. I think there's already a media platform for that, and Gary's already in it. A lot of these ideas seem to be retreads of what's already on radio. Which a five year old could do. The female host makes fun of men, the guys are pigs about women, everyone makes fun of mothers-in-law and gays, and then it returns to the beginning of the loop....zzzzzzz. I'd rather see a show where guests aren't shoehorned into 3 minute slots, and a mixture of everyday Chicagoans and more high profile folks. Ana Belaval at WGN: Likeable, appeals to key demographics, already does great "man on the street" interviews. Marcus Leshock at WGN: Would appeal to 18-34 demo. Alpana Singh: I know we mostly know her as host of Check Please and as a noted sommelier, but I could see her steering some heated discussions with a cool hand (as she sometimes does on Check Please). How's about that traffic copter babe on WGN. Erin Mendez. Don't care what she says. Just want to have a daily look. Muy caliente!!!! Out of that lot, I vote for Bill Rancic. Hey Spike, I agree that is does not take a genius to list a bunch of has been radio hosts but it does take real intellect to re-hash some of the personalities on WGN as potential hosts for the new show on WLS. Very inspired thinking! And to #34 "Nag"...speaking of inspired...a bunch of lame d-bags hosting a show on TV!! Very funny! Lightning will not stike twice. Find a good syndicated show, if possible. Please, oh please put Brittany Payton and Bill Rancic on a show together! They both are charming with loads of personality. They dont' need newspeople they need personalities. (But I do agree a Ponce would be great as well). Hopefully they'll still be four hosts total. Ladies and gentlemen, could the new hosts be anyone other than Shane "Rover" French and "Disco" Terry Murphy? I didn't think so. Why are people asking for a specific minority to become the talk so host. ABC needs to find someone to appeal to all ethnic groups not just Latinos, men & women, and ages. Don't know too many people on the list, only Bill and Brittney. Maybe ABC should have more than one host for the new program. It will depend on what demographics ABC is trying to appeal to, but I have a funny feeling that the host will be a Hispanic female, since most companies and programs are trying to appeal to this particular group. I guess everyone else does not matter. Don't care who will be the new host or hosts, it will probably be someone dull and dry. Find someone who is an unknown and give them a chance, most of the people on the list had their opportunity. Give it to someone new. I got it, I got it - BRUCE WOLF! Then, when he fails miserably, he will leave us alone - I hope. There is a Secret Weapon out there in Suburban Elmhurst and her name is Kiki Vale. A hidden Talent..
Or.. Let's reach out to Hollywood and bring in Morton Grove Native Patricia Kara of Deal or No Deal. Check her out if you dare at http://www.patriciakara.com Howie Mandel says she is the best! Both of them are just Chicago Through and Through. Check Out Jane Monzures on Sunday Mornings with The Living Healthy Show. Another pro from Tinley Park. The team of Roe and Garry always sounded to me like two high school guys in a bedroom pretending to do a Steve and Garry show. How come I don't see WGN's Marcella Raymond on that list? She would bring some much needed personality to the show.